We developed a 3D gaze estimation system that can estimate the gaze direction using a Kinect camera. A 3D geometric eye model is constructed to determine the gaze direction. Experimental results indicate that the system can achieve an accuracy of 1.4~2.7 degree and is robust against large head movements. 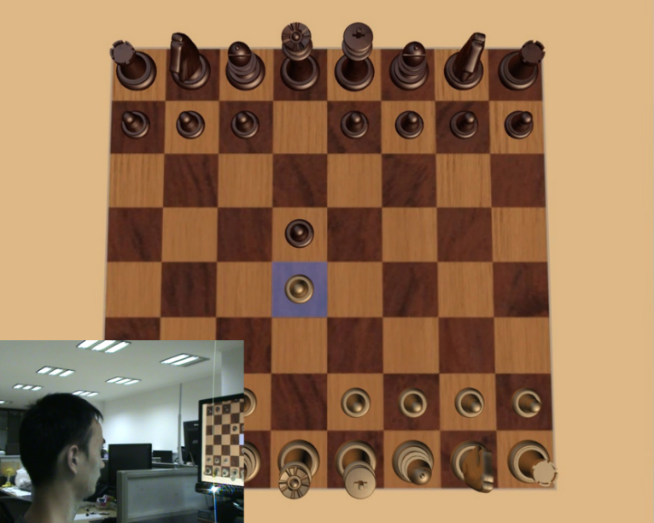 Two real-time applications (playing chess and typing with gaze) are implemented to demonstrate the potential for wide applications.